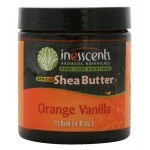 "Inesscents™ Aromatic Botanicals is a small family business based in Southern Oregon. We strive to maintain the therapeutic integrity of our products by using minimal processing and by supporting organic practices. We believe in the wisdom of the Earth’s medicines and strive to maintain their purity and perfection." 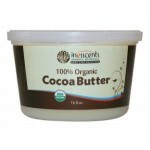 "Inesscents™ was born out of our family’s need to create an alternative to commercial body care products, simultaneously creating a legacy that our children’s children can inherit using their imagination and intelligence to reshape the future concerning natural products. We know that eating fresh, organic and unrefined foods provide the most nourishment for our bodies, so why should our skin’s food be any exception? We believe that the skin, as the largest organ of the human body, is an essential way to feed the internal body, so nurturing the skin is nurturing the body whole." "Our own loving hands carefully manufacture, pack, label and ship each and every Inesscents product. Absolutely no animal testing has ever been done on any product we sell, and all of our ingredients are entirely plant-based and unrefined (ital). We bring to you only the safe and gentle formulations that we use on our own children. 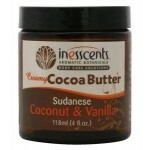 We thank you for supporting earth-sustaining products like Inesscents Aromatic Botanicals™." Fair Trade USA enables sustainable development and community empowerment by cultivating a more equitable global trade model that benefits farmers, workers, consumers, industry and the earth. The work they do is based on the fundamental shift of the way companies choose to do business. USDA Organic is a labeling term that indicates that the food or other agricultural product has been produced through approved methods that integrate cultural, biological, and mechanical practices that foster cycling of resources, promote ecological balance, and conserve biodiversity. Oregon Tilth is a nonprofit research and education membership organization dedicated to biologically sound and socially equitable agriculture. Oregon Tilth offers educational events throughout the state of Oregon, and provides organic certification services to organic growers, processors, and handlers internationally. iTal Certified seal is owned, trademarked and issued by the iRiE Foundation, an organization that was founded as an educational charity to protect and propagate the integrity of Ital as a conscious lifestyle. As a registered educational charity their aim is to increase understanding and awareness of Ital livity and vegetarianism. B Corporation certification is to sustainable business what Fair Trade certification is to coffee or USDA Organic certification is to milk. Being certified as a B-Corporation means that our business has met rigorous standards of social and environmental performance, accountability, and transparency.